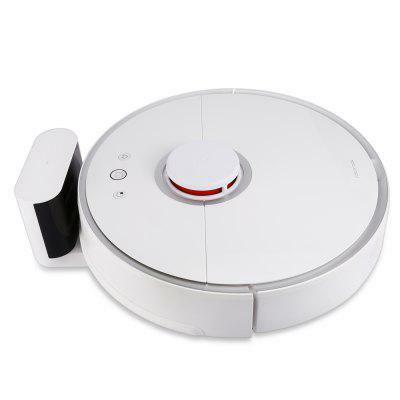 Xiaomi roborock S50 Smart Robot Vacuum Cleaner (2nd generation) is hot in the market, since Xiaomi is becoming more and more popular in the world, especially in Russia and Basil, although it has a global fans network as well. We have a great news for you now. This model features 2-in-1 Sweep Mop LDS Bumper SLAM 2000Pa Suction 5200mAh Battery. In Xiaomi’s smart home ecosystem, it is a highly intelligent home cleaning device improved with 2 in 1 Sweep and Mop. Can you imagine that you can walk on the floor with bare feet in no need of worrying about the debris or other granules? Original Xiaomi Smart Robot Vacuum Cleaner 2nd Generation provides an absolute nature lifestyle for you.